RTI Act protects privacy rights between the spouses. The Central Information Commissioner Prof M. Sridhar Acharyulu (Madabhushi Sridhar) held on 29th October 2014 that while husband had a right to know the amount of salary of wife (public servant) information about her expenditure and loan deductions cannot be given under RTI. In response to RTI application of husband in marital dispute, Dr. Dheeraj Kapoor’s the public authority gave the salary details, but insisting on further details of deductions, expenditure and personal address of his wife at different times, he appealed. The CIC found that all that was sought including private information was given by Directorate of Delhi Health Services, in spite of her objection. It was held that the information about the details of deductions, address etc of Dr Chetna Kapoor is her personal information the ‘third party’ and the PIO has to necessarily follow the procedure under Section 11(1). Amount of Salary and the details of pay-scale of public servant can be part of voluntarily disclosable information under Section 4(1)(b), whereas deductions, personal loans, details of net or gross salary paid for a particular month, or seeking a salary slip (payment voucher) and residential addresses are not disclosable, unless larger public interest is involved. 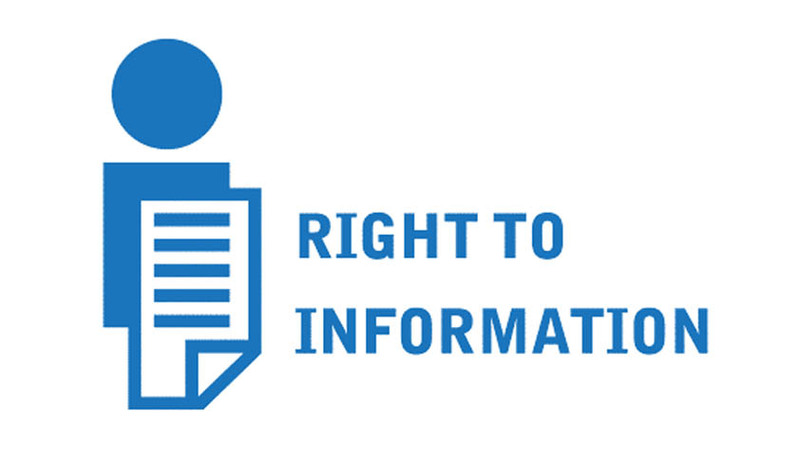 If an RTI Application is filed for that information, the larger public interest has to be examined by the PIOs, Appellate Authorities and the Commission. The issue was right to privacy of spouses against each other. The RTI Act did not give any specific or special exemption to share personal information with the spouses. As far as RTI Act is concerned there is no difference between the spouse and citizen. Right to privacy is an individual right and within the couple, each can claim or give up that right. Especially when spouses are entangled in legal disputes such as marital claims or cruelty charges, the privacy of individual spouse assumes importance in the context of demand for information. When the spouse does not consent to give information, the courts of law have to examine the need and then direct the other party to disclose if justified. For instance in maintenance petition by one spouse against the other, the court of law has to examine the claims, income and expenditure of both the spouses and direct accordingly in order to decide the issue and amount of maintenance. The CIC Sridhar Acharyulu (Madabhushi Sridhar) ordered that a frivolous question need not be answered. A citizen Om Prakash Kashiram sought a foolish information. He wanted to know what law, Act, Rule, Judgment etc he would be violating if he writes all IPS and IAS officers were donkeys, they are not doing their duties.